When your space is organized and clutter free, you’re free to be who you’re meant to be. You’re more creative, more productive and more inspired when you feel comfortable in your home or office. If your space has gotten out of control, I can help. Each month I’ll provide an organizing tip that’s part of a year-long plan. Follow the suggested organizing activities and by the end of the year your entire house will be organized. The key is starting small and tackling bite-sized projects. Don’t sabotage your efforts with an all-or-nothing approach. Commit to one action a month and you’ll reap the benefits of immediate results. This month get inspired to organize the garage. It’s probably the space the welcomes you home every day, and it’s quite possibly full of stuff, causing a lot of stress and maybe even putting a valuable investment at risk. It’s your garage and it can set the mood for how you feel every time you leave or return home. March is a good time to organize your garage because the weather is less extreme than during summer or winter. In addition, your car wants it’s parking spot back. The one that’s covered, out of the elements and designed to protect the thing you probably spent several thousand dollars on. Making room for your car in the garage isn’t just a matter of convenience, it’s keeping a valuable possession out of harm’s way. When organizing your garage, start with the big stuff so you can enjoy a sense of accomplishment. Clear out any trash and recycling. Instead of waiting for trash day, rent a U-Haul and clean out everything that should be trashed and take it to the dump. It will cost you a small amount of money to get your big-ticket item (your vehicle) back in the garage. If there are any donation items collecting dust (like the treadmill that’s been untouched and in the same spot for a year) make a trip to your preferred donation drop-off site or schedule a pickup. Often, clearing out trash, recycling and donation items opens up a lot of space. You’ll also get a better idea of what you need for storage space. When you look at storage solutions, go vertical. Utilize hanging racks over the cars, as well as, cupboards and cabinets for the walls. The best option for storage containers are clear plastic with locking lids. There are plenty of colored bins on the market, but clear containers allow you to see what’s inside without having to climb on a ladder or open every box to find what you’re looking for. 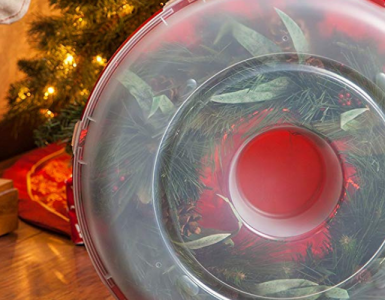 The locking lids also ensure you won’t get hit on the head by a lid that’s popped off, and if you’re storing papers or keepsakes in the garage you’ll want airtight containers. 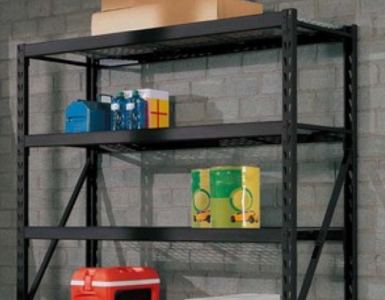 Use a critical eye to determine what could be stored on a wall instead of taking up valuable space on a flat surface, like a workbench, or floor. Hang up garden hoses, extension cords, yard tools and ladders to keep items on a wall and in a place that’s easy to access and return items when finished. Trade play dates or babysitting services with a friend so you can organize your garage without children underfoot. Removing the worry of kids and the dangers of the garage (or nearby street) will enable you to focus on the task at hand and save time. Your environment helps set the tone for your day. An organized garage gives you a sense of control in leaving your home and a sense of peace and order when you return. 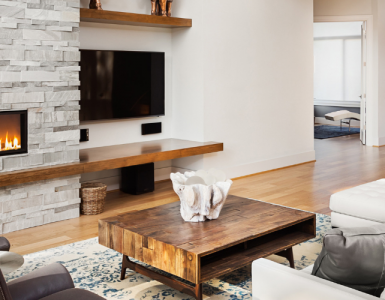 Of course, if you’re impatient or anxious to see more immediate progress, email linda@unclutterednw.com to set up a consultation and see if working with a professional organizer is right for you.